Housing options abound in the Howell area and throughout Livingston County. New home construction dots the landscape, while a range of existing housing and apartments appeal to every lifestyle. 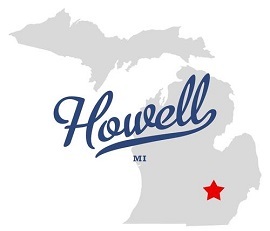 From traditional neighborhoods with sidewalks, streetlights and porches, to subdivisions, lake living, downtown apartments and lofts, Howell has it all. There are also several senior complexes offering assisted living services for older residents. Manufactured housing communities are available as well. Quaint neighborhoods make up the City of Howell, with a mix of larger, newer homes, traditional homes, homes built in the 1950s and ‘60s, and more. Several neighborhoods are known for charming, restored Victorian homes, characterized by “gingerbread” trim, front porches, gabled roofs and turrets. Downtown Howell is listed on the National Registry of Historic Places. Many owners of the beautiful Victorian buildings have made significant investments in the second and third stories of their buildings, creating unique apartments and condominiums with features such as high ceilings, arched windows, lofts and modern amenities. Even after the shops close in the evening, these apartments ensure the downtown buzzes with life.